At the end of a crazy day (work, kids, dinner, housework) this mommy is just done. I simply must use products that help me clean efficiently and swiftly. You have this beautiful granite in your home and you need to keep it clean all the while making sure you protect it. I am loving the new products by Granite Gold! I’ve been trying them out and I am gonna share them with all of you. Granite Gold Daily Cleaner Wipes: These wipes very easily remove spills from granite, stone, marble etc. They smell delicious and are safe around the kids and on food prep surfaces. These run around $7.00. Granite Gold Sealer Wipes: same safety features. Can be used without worry. These are great for creating a safe barrier to protect your granite, limestone, slate etc. They run around $15.00. Granite Gold Polish Wipes: Now that we are done with protection and spills, think beautifying your countertops. These will make the counters look gorgeous and protect against the nightmare of “finger prints” and water spotting. These will run you around $8.00. 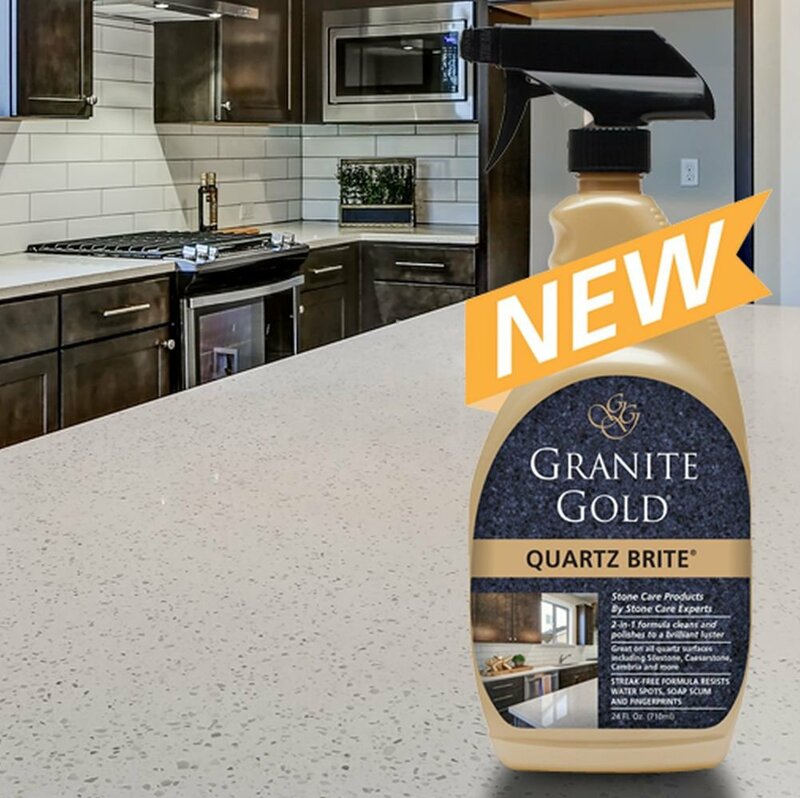 Granite Gold Quartz Brite: This spray is great for quartz surfaces. This is a fantastic spray that both cleans away the day and brings upon a great polish. This one runs around $8.00. I want to mention that each product I tried was amazing quality and held the perfect equation of clean with white glove shine. Check out all their amazing products! Previous Article Bravity: my new favorite everyday bra!